This will be the first of many posts of My Wonderful Adventure: so be warned! First stop Madrid… however this will not happen for another 30 or so hours, but hey, who’s counting when you have an upgrade to Premium Economy on the BNE-SIN leg. I’ll fill you in on if I get an upgrade from SIN-LON! Fingers crossed. But I have to weave in some marketing magic and here it is! I am sitting in the Qantas Lounge at BNE International airport sipping on a glass of lovely champagne. Cheers! 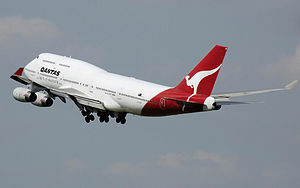 I have to say, for all of the woeful press that Qantas get (and you can see my earlier blogpost on Qantas), I do love the flying Kangaroo. The staff have been nothing but pleasant, the food, ambience: wonderful. Brands are going to help my adventure to allow me to tell stories. To share. Brands also have wonderful adventures, wonderful changes and hurdles. It’s the brands that are there through thick and thin, through disasters, that stand up and be counted, that make us share stories about them. To allow them to intertwine into our lives. Great adventures are all around. So this is the start of my great adventures. Apprehensive but ready for the challenge. If you are having adventures over Christmas – ENJOY.